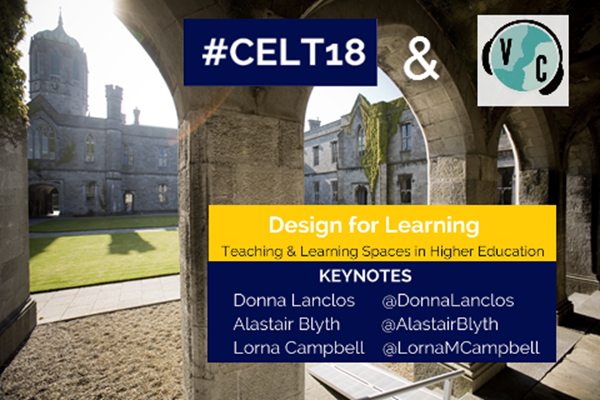 On Friday, June 15th, you can join the conversation as the onsite buddies Catherine Cronin (@catherinecronin) and Kate Molloy (@hey_km) chat with keynote speakers Donna Lanclos (@donnalanclos) Lorna Campbell (@LornaMCampbell) and Alastair Blyth (@AlastairBlyth), and NUI Galway’s own SU-Ming Khoo (@sumingkhoo). The virtual buddy is Louise Drumm (@louisedrumm). If you’d like to join into the session, either comment below or send a Tweet with the message “I’d like to join the conversation” to @VConnecting, Louise Drumm, Kate Molloy or Catherine Cronin. I’d love to join please !